Eugene Ernest R. Lavandier was born circa 1842 in Santa Barbara de Samana, Samana Peninsula, Dominican Republic. He settled in Chicago in the mid-1860's. By 1871 he was living near what is now Wells Street and Harrison Street. On 11 March 1875, Eugene married Elizabeth O'Niel who was born in 1855 in Canada. They both died in Chicago - Elizabeth on 2 August 1892 and Eugene on 11 July 1894. they are buried in Mt. Olivet Cemetery in Chicago. For further details, contact the Chicago Genealogical Society. 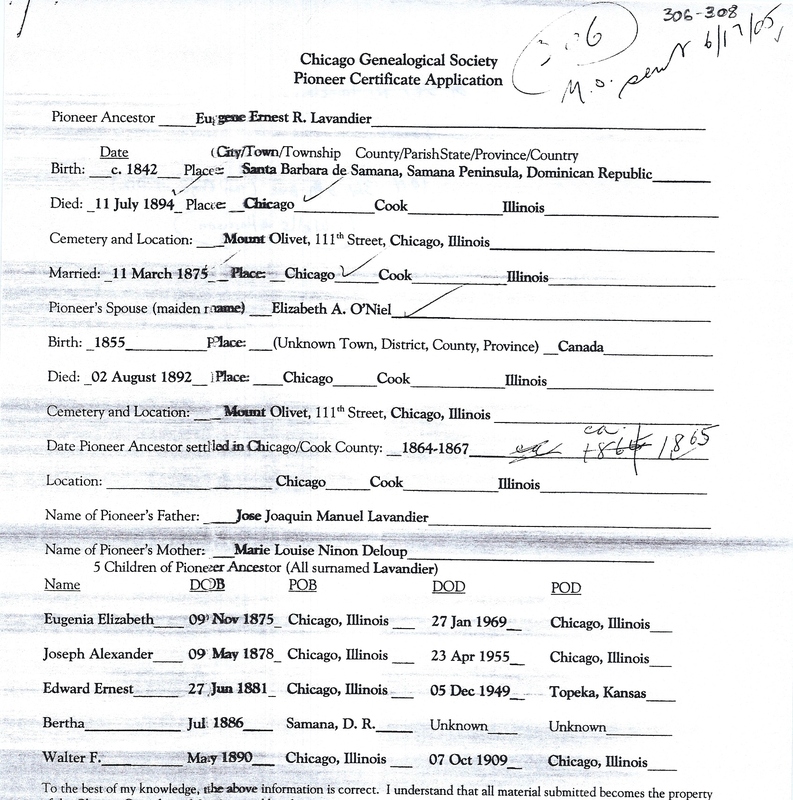 Eugene Ernest R. Lavandier is Pioneer Ancestor numbers 306-308.